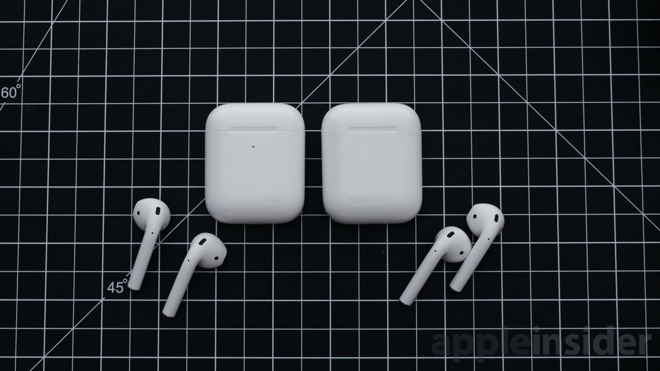 With the second-generation AirPods, we get all of that, and a little bit more. 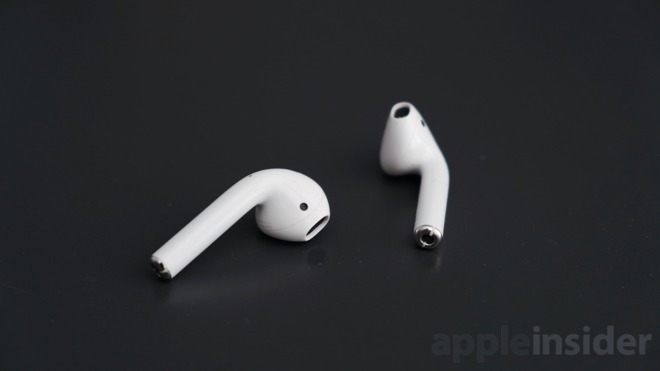 Apple mentioned on their website "powered by the all-new Apple H1 headphone chip, AirPods deliver a faster and more stable wireless connection to your devices -- up to 2x faster when switching between active devices, and a 1.5x faster connection time for phone calls. The H1 chip also drives voice-enabled Siri access and delivers up to 30 percent lower gaming latency so whether you're playing games, listening to music, or enjoying podcasts, you'll experience higher-quality sound." Just an FYI for anyone who doesn’t know about wireless charging. 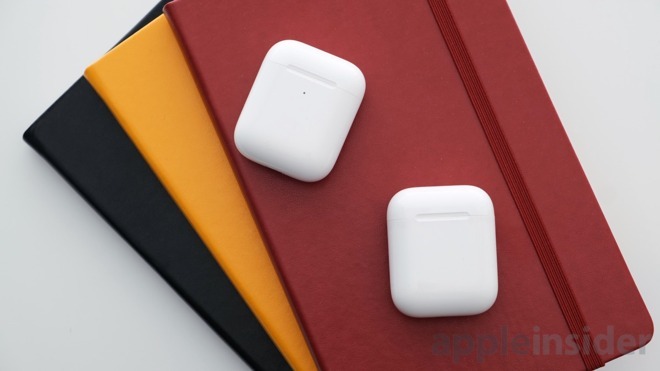 You will need a wireless charging pad to wirelessly charge your AirPods. I know it sounds like that is common knowledge, but I have spoken to many people who think it comes in the box with the AirPods. Too late. 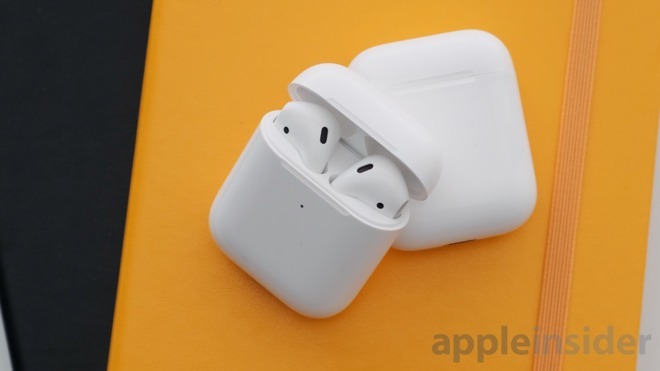 Already ordered AirPod2 with wireless charging case. Not too impressed with wireless charging on my X so far. It’s just too slow compared to my USB-C charging brick but have it and didn’t use is better than want to use it but didn’t have. I accidentally broke my AirPods, so I got the AirPods 2. I personally don’t care about wireless charging, so I got the one without the wireless charging case. I can tell that it connects faster and the battery lasts longer, but that’s really the only differences. 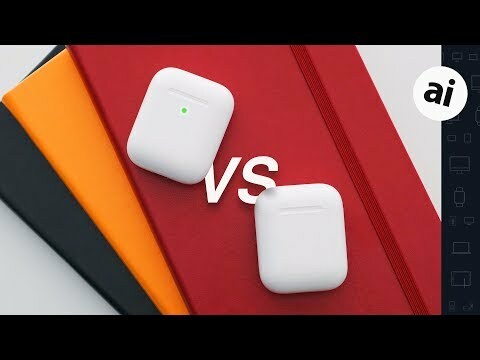 I still think it’s better to buy the second generation if you’re in the market for AirPods, but I personally wouldn’t recommend upgrading unless you’re having battery issues. In addition to Amazon and Walmart, you can also buy them at the online Apple Store and in the stick and moral Apple stores. That seems to be the case with wireless charging in general. It seems like people sacrifice speed for a minor convenience. I'll choose the speed, thank you very much, and I also don't have any huge issues or any problems plugging one cable into something. Which to buy? None of the above. I'm waiting for the Powerbeats Pro. All the benefits of the AirPods, plus an ear loop to keep it in place. I disagree about the minor inconvenience part. Strongly. I have the Logitech wireless charging dock for my X and simply love it. It is many times easier than a plugged connection and holds it at about a 70° angle making it perfect for debugging and unlocking with FaceID. At the phone is simply "charged" by magic all the time. so it is slower. It doesn’t impact me at all since the phone is almost always charged. Have to say mine are showing a vast improvement over my AirPods 1. Not sure if the clarity is due to a better design, or just comparison to the degradation over time of the old ones. Not having AirPower does kind of make me wonder if I should have just bought the non-wireless case, but I'll wait and see how it goes with the third party one I ordered. Since AirPower isn't available I don't know why anyone would spend extra money for wireless charging. I am still enjoying my audiophile dual driver Sennheiser from the 1980's, and never had to worry about connectivity, batteries or charging. Has Apple decided they will only offer headphones as a 'consumable'...? How sustainable is that? I don’t know what magic you do but plugging in is like just a split second difference to me. That split second is not worth the mat cost and wasted electric energy IMO. Plus you can not use your phone while charging. 'debugging'? What debugging are you doing? Debugging an App maybe? That’s what developers do. Beats. The answer is you buy beats. Wireless Solo3. The only allure of the AirPods for me is maybe when I go jog, which is never. I’m fat. Also AirPower was a huge factor and.... it’s never gonna happen so there’s that. If Apple manages in the future to come up with an elegant 3 in one wireless charging solution and Earth’s gravity is decreased by 15% thereby making it less strenuous on my ankles for me to run I will reconsider. "That's a lot of money for a pair of earphones." That's a lot of editorializing in a review. I am sure many people to not think $159 is not a lot of money for a high-quality, wireless headphones. Everybody has their own value equation. There are hundreds of various headphone models that are a lot more than these. For some, they're worth it. For others not so much. Honestly, people that actually try the AirPods don't really complain about them not having anything "to keep it in place". The few times that I've actually dropped one it's because it's been physically hit by something (like my hand, or me trying to slip in/out of a hoodie with them on). I thought the same, the new APs seemed 25% louder -- until I cleaned my original APs. I couldn't see it, but there was a layer of wax over the screens. Couldn't even see it (no discoloration) until I used a cleaning toothbrush to knock it away...then the two pairs sounded identical. I sound my original pair on eBay. I expected to get 50 bucks for them, but despite my description describing them as originals and having a degraded battery and needing to replace one pod, people bid them way up. I'm perplexed.